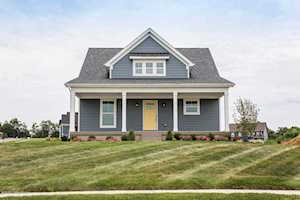 Welcome to the beautiful neighborhood located in Smithfield, Ballard Glen. Ballard Glen is accessible from 1-71 North. This subdivision is relatively new. Construction began in the mid-2000s and is continuing on today. Prices range from $230,000 to $340,000 in the Ballard Glen neighborhood. 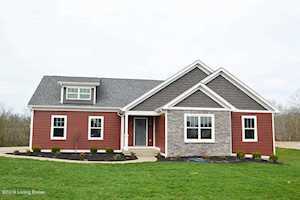 In Ballard Glen, you will find homes that range from 1,600 to 2,300 square feet. 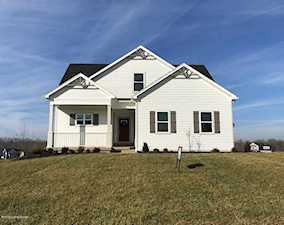 The Hollinden Team updates this search for Ballard Glen homes on a daily basis from the Louisville MLS. 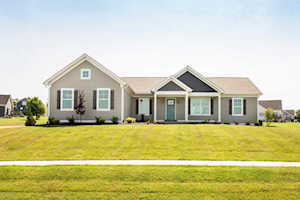 Also, if you are interested in Smithfield homes for sale, we would be more than happy to provide more information. Click on the map to the left to view each home for sale in Ballard Glen. There is a satellite view in upper right. LOTS OF BUILDER UPGRADES! Photos may show an incomplete home, but this home is ready for immediate occupancy. You will see a lot of wood homes in this neighborhood. Typically, the style of the outside of Ballard Glen homes varies quite a bit. 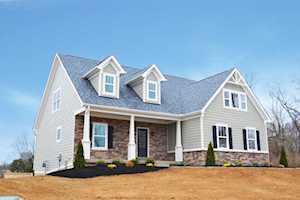 You may find various colored wood homes and plenty of homes with different style porches on the front. A few of the Ballard Glen homes have a little bit of brick mixed in with the wood but not many. Most of the homes offer about half an acre of land per lot. Many of these homes have basements and some are walkout basements. Many of these homes have a two car garage. Because Ballard Glen is a newer neighborhood, you will see that these homes tend to be pretty updated. Expect granite countertops, stainless steel appliances, hardwood floors, and updated fixtures. For grocery shopping, the closest grocery stores are a Walmart and Kroger in La Grange. Both of these stores are around nine miles from Ballard Glen. Ballard Glen is only about 7 miles away from Downtown LaGrange. Downtown La Grange offers a variety of stores such as consignment stores, bridal shops, craft stores, boutiques, and much more. You can also find a couple restaurants in Downtown La Grange such as One Nineteen West Main, Red Pepper Deli Café and Catering, and Big Rs & Shannons BBQ. The next closest places to shop are going to be in Louisville. The Paddock Shops and Westport Village are around 20 miles away from Ballard Glen. Oxmoor Mall and Saint Matthews Mall are around 25 miles from Ballard Glen. Lake Jericho is a great place in Smithfield to camp, fish, or take a boat out. Lake Jericho is open to the public April 1st to November 1st. Lake Jericho’s hours of operation are from daylight to dark, seven days a week. Lake Jericho Recreational Camping Area does have some fees associated with camping or boating. Ballard Glen is in the Oldham County School District. Here are the following home schools to Ballard Glen: Locust Grove Elementary, East Oldham County Middle School, and Oldham County High School. If you would like to learn more or have any questions about any of these Ballard Glen houses for sale, or others in zip code 40068, just click the "Request More Information" button on any property detail page. Our team can provide with past sale information, comparables, disclosures, PVA assessment, and tax information – we would love to answer any real estate questions you have.